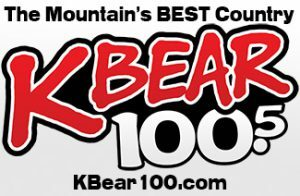 Area residents, community leaders, business representatives and others will have the opportunity to review and comment on potential transportation projects that would shape the White Mountains area for decades to come at an upcoming public meeting in Show Low. The public meeting is scheduled from 4 to 6 p.m. Thursday, Feb. 7, at Show Low City Hall, 180 N. Ninth St., Show Low. The meeting will be an open-house format. Members of the study team will be available to answer questions and gather community input. The recommended transportation projects will be incorporated into a final report. The report will recommend high-priority projects for consideration by each stakeholder jurisdiction to incorporate into their respective capital improvement programs. The report will also include a 20-year phased improvement plan. The document will be the final deliverable resulting from the Southern Navajo and Apache Counties Transportation Study currently underway. If you cannot attend the meeting, the recommended projects can be viewed online under Working Paper 2: Plan of Improvements. In addition, a Comment Form is available for download. After downloading and completing the comment form, follow the directions on the bottom of the form to properly submit it by mail, email or by bringing it to the Feb. 7 meeting. Online comments must be received no later than Thursday, Feb.21, 2019. Recommended projects include roads, bike lanes, transit routes, pedestrian trails and other multi-model projects that would improve mobility within the region. The Arizona Department of Transportation is funding and administering the transportation study, which is being conducted due to population and development growth that is placing a burden on the region’s existing transportation infrastructure. The study area includes Snowflake, Taylor, Show Low, Pinetop-Lakeside and unincorporated areas of southern Navajo and Apache counties, including the communities of Concho and Vernon. 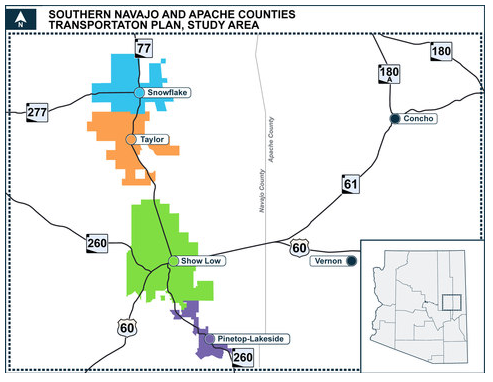 Questions or comments relating to the Southern Navajo and Apache Counties Transportation Study can be directed to ADOT Project Manager John Wennes at JWennes@azdot.gov or 602.712.7112.